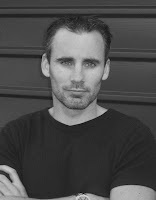 New Zealand crime writer Paul Cleave, whose third novel CEMETERY LAKE is being released in the United Kingdom on 24 September, has recently been interviewed by Crime Time magazine. For 54 issues Crime Time was a hard copy magazine, but it recently shifted to being fully online. The popular website is packed with reviews, interviews, and profiles of crime authors and books, and it is great to see Cleave get some attention from the British-based media, especially crime fiction afficianados such as Barry Forshaw, editor of Crime Time. You can read the Crime Time article about Cleave and CEMETERY LAKE, his first novel to be released in English in the northern hemisphere, HERE. I understand that Random House UK are planning to release Cleave's two earlier crime novels, THE CLEANER (which was a smash-hit in Germany, #2 overall on Amazon for several weeks during 2007, behind only the then-latest Harry Potter book, and received hundreds of positive reviews there), and THE KILLING HOUR. Following its release in New Zealand, CEMETERY LAKE made the prestigious NZ Listener Best Books of 2008! list, which is a fantastic achievement for a crime fiction writer, let alone one from New Zealand (we have a tendency to underrate our own genre fiction here). Along with Stieg Larsson's THE GIRL WITH THE DRAGON TATTOO, it was one of the few crime novels to make the list (which included books of every genre, from all over the world). The Listener said of CEMETERY LAKE: "Cleave tells the story with great flair. The plot is beautifully constructed, the characters come to worrying life, and it is all wrapped in an atmosphere of prevading evil that will make you wonder whether you should be reading it late at night..."
Hopefully crime fiction fans in the United Kingdom will give Paul Cleave a go, and discover for themselves why people like award-winning Mark Billingham rate Cleave so highly as a crime writer. After visiting New Zealand late last year, where he discovered Cleave's books, Billingham said: "Most people come back from New Zealand talking about the the breathtaking scenery and the amazing experiences. I came back raving about Paul Cleave. These are stories that you won’t forget in a while: relentlessly gripping, deliciously twisted and shot through with a vein of humour that’s as dark as hell. Cleave creates fictional monsters as chilling and as charming as any I’ve ever come across. Anyone who likes their crime fiction on the black and bloody side should move Paul Cleave straight to the top of their must-read list." That's fantastic Paul will be published in Britain. And thanks for the link to the ezine.